You are warmly welcomed at Hotel Chail Inn a home away from home! Just 5 min walking distance from Bus Stand it is nestled into a mountainside that magically balances a setting of natural beauty with spectacular landscapes. Acclaimed as a four season luxury Hotel Chail Inn offers a style and service unmatched in the region. 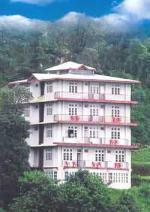 Ekant, a resort where Hospitality is a tradition and is striving to provide a homely atmosphere with a panoramic view from all of its 17 well furnished rooms with all the modern amenities : 24 hrs.running hot & cold water,wall to wall carpeting, Color T.v.,Cable Connection, Terrace, Yoga & Meditation, Multicuisine Restaurant, Parking, Room Service. 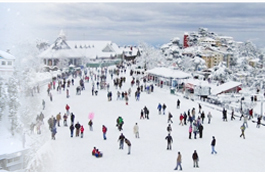 Ekant, provides you a perfect ambiance to feel the Hill Station. 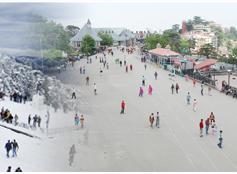 Hotel Lions is located 45 - km away from Shimla. Hotel Lion has Well furnished 24 spacious rooms equipped with CCTV, EPABX, attached bathroom, purified drinking water, 24 hours room service, power backup, doctor on call, parking, security, video games and conference facility. 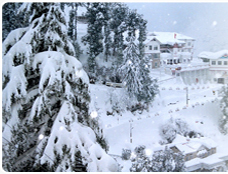 Hotel Monaal, Chail, just 45 Kms from Shimla, is a destination for Nature lovers cherishing to getaway from the overcrowded regular tourist spots. Where even time takes a pause to standstill, pine scented fresh mountain air to breathe, quite & lonely pathways where you can hear the occasional Hornbill, lush green forests, silent valleys, enchanting glades, brilliant crimson flaming sunsets, floating clouds, misty hills, velvety black nights spread under a canopy woven with glittering jewels, serenity, overwhelming tranquility are what make Chail 'The Dream Destination'. The resort has an all weather well-laid tarred road coming up to its gate. The complex sprawls over so many acres of land on mountain top, a cemented 1.2 kms long driveway encircles the property making driving inside the property not only convenient but a pleasure. 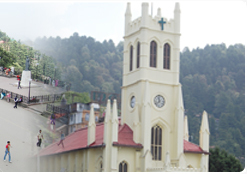 At the doorstep of heaven, on the foothills of the Himalayan range is CHAMBA. Unexplored and untouched. If your soul longs to soar above the ordinary, then the Classic Hill Top Resorts at Chamba is just the place for you to escape.